The University of Utah was founded over 165 years ago…But last year was a significant year for aspiring game designers. The University of Utah received board approval to great a Game Design Degree. 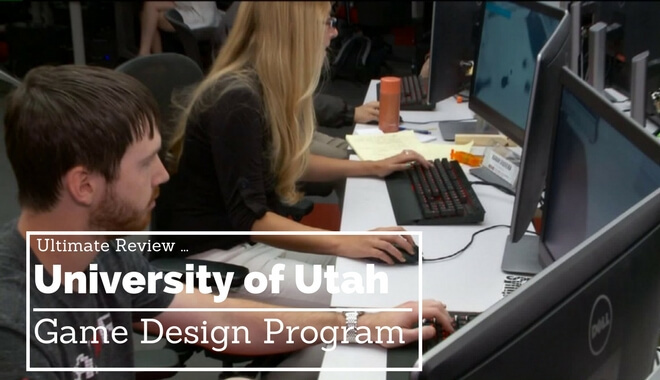 Now, since 2011 The University of Utah has been one of the three best schools for video game design students, according to the Princeton review, for game design programs. Their graduate program has been in the top five schools since 2013. 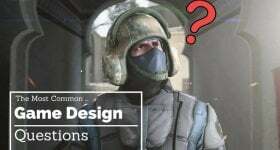 But last year “The U” announced that they would be offering a game design program that exists autonomously—right now, their game design programs are offered as part of a film degree and a computer science degree. That program isn’t launching until Spring of 2018 (most likely). But! That’s not the program we’re here to talk about anyway. We’re here to talk about the programs that have been highly-rated for (at least) five years running. The 2017 Princeton Review rankings have the University of Utah as #3 in the list of the top 50 game design programs. The year prior, the U took 1st place for undergraduate game design programs. For the top 25 graduate game design programs, U of U received third place (for the second year in a row). That alone is enough for most prospective game design students to apply to the school. Alumni from the undergrad and graduate programs go on to find work locally in Utah (many at game design studios). Others travel to California game design hubs. Plenty have found placement with big name studios, like EA. As an alumni, you’ll have opportunities at a wide range of game developers. The average starting salary for undergraduates is $67,045. The average salary for alumni coming out of the graduate program is $87,332. What’s the Staff like at the University of Utah? The staff at the University of Utah appears to be a mix of both industry veterans and career academics. -Roger Altizer, Jr. co-founded the Entertainment Arts and Engineering Program at the U (you know, the program you’re thinking about entering into). He’s also a co-founder of Game Makers Anonymous, which is an indie game co-op. Alitzer works with medical games, and he’s the Director of Digital Medicine at the Center for Medical Innovation. It’s worth noting that he kicked off his career as a video game tester for Microsoft back in the early 2000s. He primarily teaches in the Unreal Engine, exploring concepts like modeling and texturing. -Ashley Brown used to teach in the UK, but now she teaches user experience and design at the University of Utah. She also researched topics like emergent gameplay. He’s worked as Vice-president and General Manager at Electronic Arts. He served as Executive Producer on plenty of hit games for both EA and EA Sports. -Joe Olson has worked in the video game industry for more than a decade. He’s worked on published games like Epic Mickey, Tak, Tak 2, and Disney Infinity. And that’s just a handful of the faculty driving the learning efforts at the University of Utah in the EAE Program. There are others who have won awards for their though-pushing papers on computer and human interaction, others who have won awards for the board games and tabletop RPGs they’ve created. The Entertainment Arts and Engineering Program seems to have cultivated a good mix of industry experience and research-based experience. According to an article from Deseret News, featuring an interview with Robert Kessler, the EAE Program’s Executive Director and Founder, The University of Utah “students are immersed in an environment where they need to learn how to interact with all of their project collaborators…artists, engineers, producers and designers. In addition to the team-based practice, something that closely mimics the real-world of game design, every student is required to publish a game. It doesn’t matter if you’re in the undergraduate or the graduate program, you don’t leave the EAE program without publishing a video game with your team. There are a number of game design-related undergraduate paths you can choose from at the U. In order to apply for your full major status, you need at least a C- or better in every class, and a minimum GPA of 3.0. Your studies will culminate in a Capstone project. You can also get a Computer Science BS Degree with an emphasis solely in Entertainment Arts & Engineering (EAE). “What it really all comes down to is your work ethic and skill set…With the CS degree, you’re going to have a lot of intense work and hard classes, but you’ll learn the skills you need in the class to have a good chance at some of the industry jobs. For the art side, you really have to focus in on what you want to do with games. There’s so many different areas and skills you can learn, but you really need to hone in on one talent. There you have it. The University of Utah’s third-place ranking isn’t an accident. 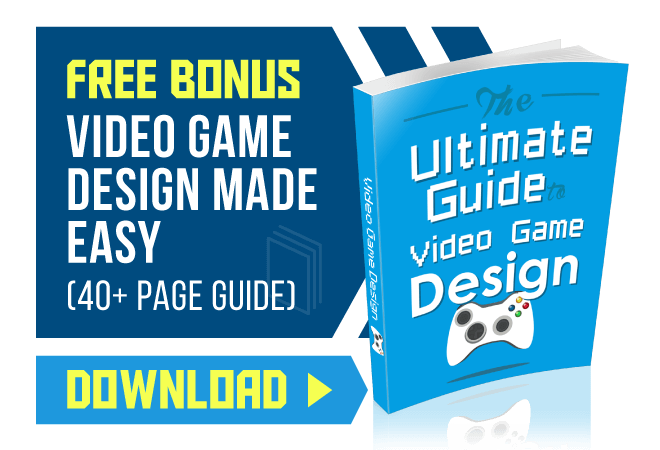 With the right amount of effort on your part, you can put your time at the U and your education to great use in the game design field.